- Considerable Inner Design: Build-in super quality velvet which is an excellent buffer for your Peltor Sport Tactical 300 & 500! You deserve to own this case. It is a good partner for your trip and a good gift for your friend who also has a Peltor Sport Tactical 300 & 500. NOTE: The Electronic Hearing Protector is not included.CLICK the Orange button to Order Now! 100% SAFE: Hard quality EVA material is Semi-waterproof, Shockproof and Durable to protect your Electronic Hearing Protector from impacts and splashes. ON SALE: Backed by 100% Money back Guarantee, risk-free buy. 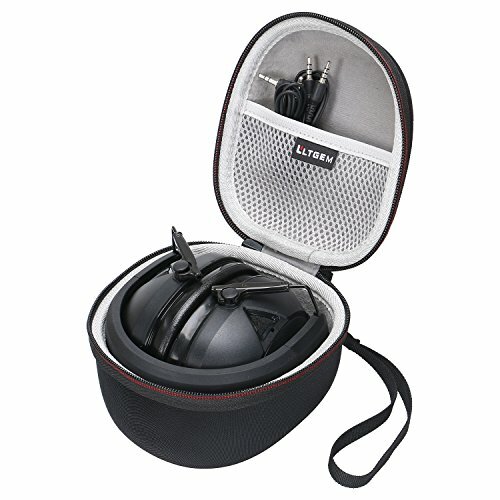 Only a case ( The Electronic Hearing Protector is not included ) - CLICK the Orange button to Order Now! If you have any questions about this product by LTGEM, contact us by completing and submitting the form below. If you are looking for a specif part number, please include it with your message.